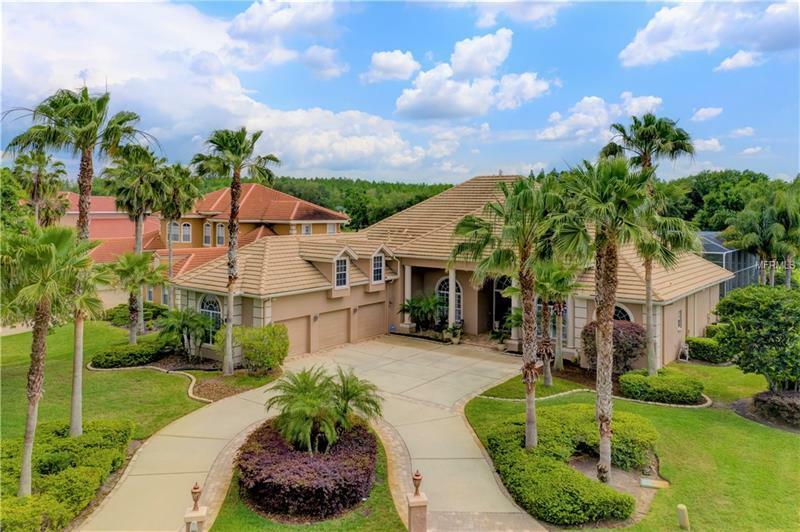 5606 Tpc Boulevard, Lutz, FL.| MLS# T3163734 | Westchase Real Estate - Westchase FL Homes For Sale - Westchase Local Experts. We are pleased to present this BEAUTIFULLY RENOVATED 6 bedroom plus study and bonus room 5 bath 4855 sq. ft. home in Cheval! Situated on a SPECTACULAR WATERFRONT LOT WITH VIEWS OF THE TAMPA BAY TPC GOLF COURSE this model like property features: a light and bright open floor plan with exquisite dÃ©cor and 16' ceilings; a NEW KITCHEN with gorgeous cabinetry SUB ZERO refrigerator WOLF gas range quartz counter tops and enormous island; a BEAUTIFULLY UPDATED MASTER BATH with new cabinetry freestanding tub large walk in shower and dedicated water heater; REMODELED LAUNDRY ROOM with quartz counter tops new cabinetry and refrigerator; NEW HARDWOOD AND PORCELAIN flooring; NEW FRONT ENTRY DOORS; French doors and transom windows in the living room; NEW IMPACT SLIDERS in the family room; plantation shutters; crown molding; fireplace; wet bar; custom built ins; tray ceilings; NEW WINDOW TREATMENTS; a FABULOUS POOL/SPA PACKAGE with paver decking and outdoor kitchen; IMMACULATE CONDITION and much more! Cheval has 3 convenient entry gates all of which are staffed 24 hours a day seven days a week. Cheval also offers easy access to the private Cheval Golf Club and Athletic Center and to the TPC Club. Add to these GREAT SCHOOLS and a convenient location for shopping and interstate travel and you have a fantastic place to call home!